Hip replacement is an operation in which a damaged hip joint is removed and replaced with an artificial joint. There are many medical conditions that can damage the hip joint. The most common reason for hip replacement is osteoarthritis. Osteoarthritis occurs when the cartilage covering the ends of the bones where they meet to form joints breaks down. This causes the bones of the joint to rub together. Growths of bone, called spurs, may form around the joint. These changes lead to pain and stiffness. Other possible causes of hip damage include injuries, fractures, bone tumors, rheumatoid arthritis, and osteonecrosis. Rheumatoid arthritis is a condition in which the body's immune system attacks the membrane that lines the joint. This can lead to pain, inflammation, and destruction of the joint. Osteonecrosis is a condition in which the blood supply to the bone is cut off, causing the bone to die. Doctors often recommend hip replacement if pain and stiffness interfere with your ability to do everyday activities -- particularly if other treatments have not helped. Treatments your doctor will likely recommend first include exercises to strengthen the muscles around the hip, walking aids such as canes to reduce stress on the joint, and medicines to relieve pain. Several different medicines can be useful for hip pain. For pain without inflammation, doctors usually recommend the analgesic acetaminophen. For pain with inflammation, your doctor may prescribe a nonsteroidal anti-inflammatory drug such as ibuprofen or naproxen. For additional pain relief, your doctor may recommend acetaminophen and an NSAID, but you shouldn't combine the two without first speaking with your doctor. In some cases, stronger medicines may be needed. These include the analgesic tramadol or a product containing both acetaminophen and a narcotic codeine to control pain. For inflammation, doctors may prescribe corticosteroids; however, they should not be used any longer than necessary because of their harmful side effects. For example, people with Parkinson's disease or conditions causing severe muscle weakness are more likely to damage or dislocate an artificial hip. People who are in poor health or at high risk for infection are less likely to recover successfully. The decision to have hip replacement surgery is one you must make with your doctor and your family. If you would like to consider hip replacement, ask your doctor to refer you for an evaluation to an orthopaedic surgeon, a doctor specially trained to treat problems with the bones and joints. 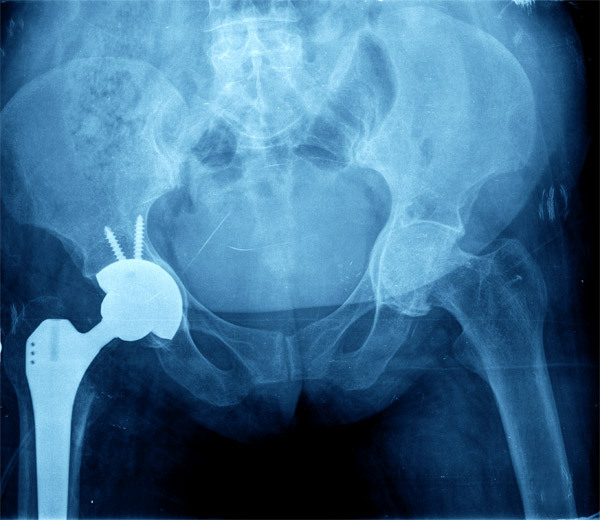 The surgeon must consider many factors before recommending hip replacement. Although most people who have hip replacement are between 60 and 80 years old, age is less of an issue than factors such as pain, disability, and general health. In fact, more and more people under the age of 60 are turning to hip replacement as a way to maintain function and quality of life. People who are generally healthy are the best candidates for the surgery. Recent studies also suggest that people who choose to have surgery before advanced joint damage occurs tend to recover more easily and have better outcomes.